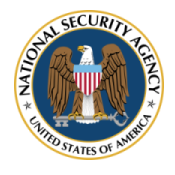 "A top-secret document, obtained by the former N.S.A. contractor Edward J. Snowden, shows that an American law firm was monitored while representing a foreign government in trade disputes with the United States. The disclosure offers a rare glimpse of a specific instance in which Americans were ensnared by the eavesdroppers, and is of particular interest because lawyers in the United States with clients overseas have expressed growing concern that their confidential communications could be compromised by such surveillance." "The government of Indonesia had retained the law firm for help in trade talks, according to the February 2013 document. It reports that the N.S.A.’s Australian counterpart, the Australian Signals Directorate, notified the agency that it was conducting surveillance of the talks, including communications between Indonesian officials and the American law firm, and offered to share the information." "The Australians told officials at an N.S.A. liaison office in Canberra, Australia, that 'information covered by attorney-client privilege may be included' in the intelligence gathering, according to the document, a monthly bulletin from the Canberra office. The law firm was not identified, but Mayer Brown, a Chicago-based firm with a global practice, was then advising the Indonesian government on trade issues." "Duane Layton, a Mayer Brown lawyer involved in the trade talks, said he did not have any evidence that he or his firm had been under scrutiny by Australian or American intelligence agencies. 'I always wonder if someone is listening, because you would have to be an idiot not to wonder in this day and age,' he said in an interview. 'But I’ve never really thought I was being spied on.'" "Most attorney-client conversations do not get special protections under American law from N.S.A. eavesdropping. Amid growing concerns about surveillance and hacking, the American Bar Association in 2012 revised its ethics rules to explicitly require lawyers to 'make reasonable efforts' to protect confidential information from unauthorized disclosure to outsiders." "Mayer Brown, the Chicago-based law firm cited in a weekend report about National Security Administration spying, has issued a statement that stops short of an outright denial that its communications were under surveillance but says there is 'no indication' that any spying occurred 'at the firm.'" "Responding to the report, Mayer Brown said in a statement late Sunday night: 'There is no indication, either in the media reports or from our internal systems and controls, that the alleged surveillance occurred at the firm.'" "Asked by the Tribune whether the firm was saying that there was no evidence of spying at the firm, or that there was no evidence of spying of the firm, a Mayer Brown spokesman responded: 'At the firm.'" "The Mayer Brown statement also said, 'Nor has there been any suggestion that Mayer Brown was in any way the subject of the alleged scrutiny. Mayer Brown takes data protection and privacy very seriously, and we invest significant resources to keep client information secure.'"